During his presentation at the last GREEN4SEA Conference, Mr. Bill Stamatopoulos, VeriFuel’s Business Development Manager for South Europe, discussed the possible challenges that the shipping industry will face regarding the 2020 compliant fuels regulation. Mr. Stamatopoulos explained that the supply chain must cooperate and improve transparency in the bunker sector when the 2020 sulphur cap regulation comes into force. Marine Fuel is a by-product of refineries. 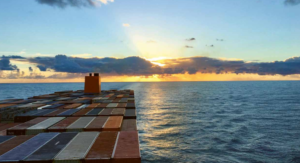 Over the years we have shared expressions like ‘ships became the incinerators of the bunkering industry’ or the ‘Pandora’s Box’ or the ‘Cinderella Oil’, but we need to remember that when we are talking about marine fuel, this is by definition ‘blended fuel’. We used to call them ‘intermediate fuels’, reflecting the blending. Today in Singapore 50 million metric tons of fuel is sold, 95-98% of this fuel is not refined in Singapore but blended in Singapore. What we need to make absolutely clear is that the Sulphur blending should not be at the expense of the product’s overall quality. As of today, we have a lot of aromatic hydrocarbons, followed by naphthenes and paraffins. After 2020 it will be the complete opposite. So, we are talking about more paraffinic hydrocarbons; the goal of the blender is to keep the balance, especially between the aromatic and the paraffinic hydrocarbons. The aromatics have a negative effect on the ignition and combustion properties but they are a stable component. The paraffinic hydrocarbons are the expensive products, with fantastic ignition and combustion properties that will however, disturb the stability of the mix. 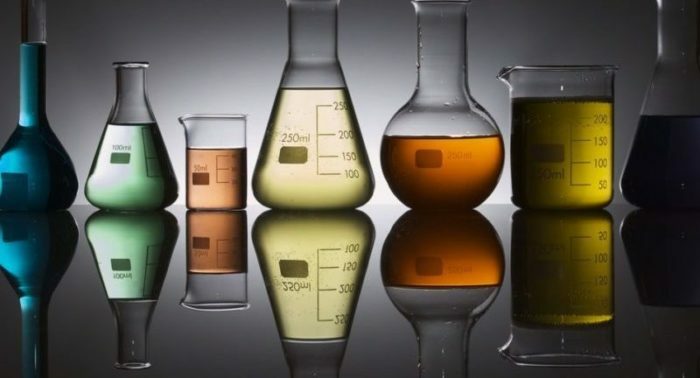 The naphthenic hydrocarbons are linked to the sweet (low-Sulphur) crude sources that is an attractive ingredient for blending the very low-sulphur fuel oils. On the availability side, every week we have either a new product popping up or a new certificate of quality. We know certain suppliers are supplying already in Singapore, Fujairah, ARA and in China due to the domestic emissions control area and we have even tested samples last year from Russia, Spain and Portugal. Oil majors claim that there will be enough compliant fuel. From what we have primarily tested so far, we typically see lower density and viscosity as compared to the high Sulphur fuels used today. The samples that we are talking about are the so called promotional and not commercial bunker samples. On top of that, we see some bunker samples supplied as typical high sulphur RMG 380 but with Sulphur ranging from 0.50% to 0.70%. Many of these samples originate from areas that have not been traditionally low-Sulphur areas. This indicates that the suppliers are preparing themselves; they are blending the Sulphur down, they are cleaning their tanks etc. Regarding the ISO part, in H2, 2019 we are expecting a publicly available specification to be used in conjunction with the ISO 8217, while CIMAC is preparing on how best to order and manage VSLFO; last but not least, note the two pieces of available guidance from MEPC, firstly on fuel purchasers and secondly suppliers assuring the quality of fuel oil delivered. Preparation is the talk of the town. Everybody is debating what to do: risk assessment, mitigation plans, fuel management, ship implementation, tanks needed, heating issues, fuel treatment, cylinder oils, new bunker or charter party clauses, what to do with the excessive steam generation if the viscosity of the fuel is low, what to do if the Sulphur is more than 0.50% etc. Also, other important questions are: How do I effectively and efficiently clean my tanks? How to deplete any non-compliant fuel? Do I need more tests than the traditional tests reflected in the ISO 8217, or any portable test kits that can help? On the tank cleaning it’s a simpler equation; some operators will opt for the traditional manual cleaning either from the crew or from riding teams. Another option is to add low-Sulphur MGO or ultra-low-Sulphur fuel oil and use it for a week, preferably while sailing, to clean the dead bottom of the tank, with the disadvantage that this very gasoil cannot be used due to the potential high aluminum and silicon that will contain after the cleaning process. Crew training is extremely important. 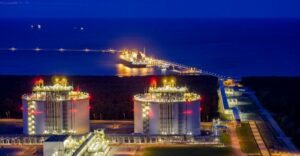 Most Chief Engineers are used to consuming 380 or 500 cSt fuels, for which there is no real change from port A to port B; it is more or less the same operational standard. For compatibility they know they should not mix, unless there is a reason. The difference in 2020 is that the fuels will have a wider range of viscosity requiring temperature adjustments. Due to the variety of fuels post 2020, the risk of experiencing compatibility issues may be greater but the challenge is the same – keep the fuels segregated to the maximum extent possible - at least until the compatibility between the two fuels is known. The key message is: “Know Your Fuel”. Do not use any fuel before the analysis results are known. To get an idea of the cold flow properties, study the Certificate of Quality (COQ) carefully before the bunker operation. Of course, now is the time to update the change-over procedures from 0.50% to 0.10% Sulphur - and vice versa. To illustrate the variations in density, viscosity and cold-flow properties, I list 5 real VLSFOs. We can call them ‘products’ A to E or ‘ports’ A to E. The first one has a density of 911 kg/m3, viscosity of 35 cSt @ 50 °C and pour point 24 °C. Here I need a storage temperature of 34 degrees, temperature at the separator inlet 60 °C and not 98 °C, as today with the high Sulphur, high viscosity fuel oils. The preheating temperature should be 82 °C to obtain 12.5 cSt injection viscosity. Product E is a high viscosity product that you should heat to 40 °C in the bunker tank, 98°C at separator inlet to ensure effective purification and 133°C at engine inlet to ensure proper injection viscosity. So even if you set the viscosity controller at the automatic viscosity mode, you still need to make a lot of other operational settings in every port with every different product. 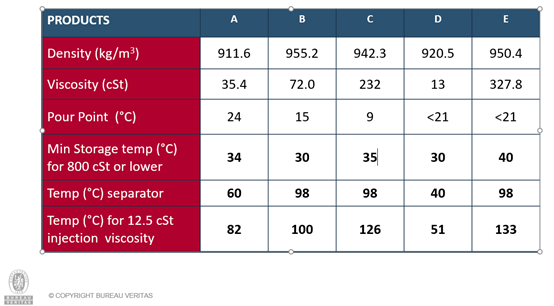 For example, product D has a viscosity of 13 cSt @ 50 °C. For this fuel, the temperature at the separator should be 40 °C. If the crew forgets to adjust the temperature, and keep the old 98 °C, this will result in a viscosity of 4 cSt @ 50 °C. Close collaboration with your fuel management partner. Above text is an edited version of Mr. Bill Stamatopoulos’ presentation during the 2019 GREEN4SEA Conference. Bill Stamatopoulos, Business Development Manager, VeriFuel- Marine Fuel Services. Bill Stamatopoulos holds a Bachelor in Business Administration and an MBA with specialization in Total Quality management from the University of Leicester. He joined Det Norske Veritas (DNV) in 1991 and in 2010 Bill became the Regional Manager of DNV Petroleum Services for Europe, responsible for sales, lab operations, technical, surveys and consultancy. Since 2004, he is appointed at the Hellenic Organization for Standardization, Committee 66 for Petroleum Products, by the Hellenic Chamber of Shipping. Bill is a co-Author of ‘Marine Fuels’ a specialized book in shipping, published in June 2008 and the main author of the new edition published in 2018. During the last 15 years, Bill has given several presentation and training courses on all fuel- related issues and has also been involved in major bunker clams as a fuel expert. From Octboer 1st, 2015, Bill joined Bureau Veritas as Business Development Manager for the newly established department of VeriFuel- Marine Fuel Services.